Great new illo by RYAN JOHNSON for The Stranger. 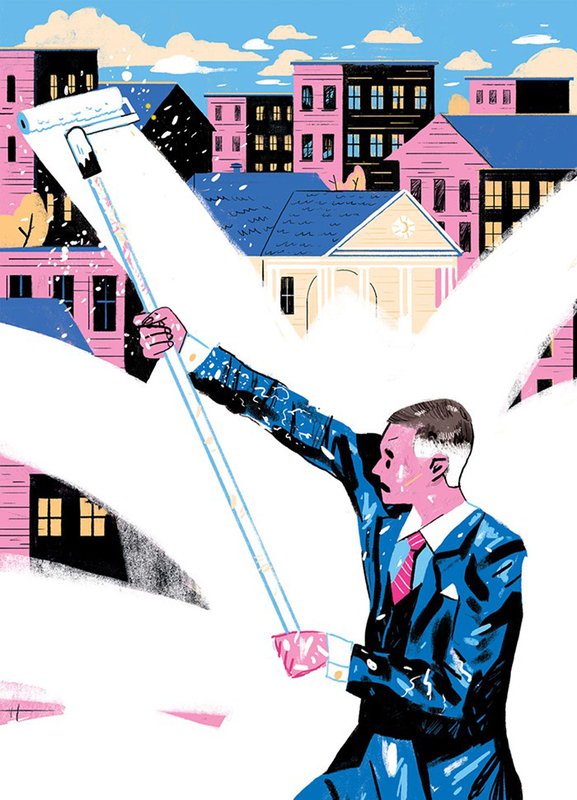 This piece is about the rich squashing Seattle’s plans to build affordable housing. The article is called “Could Wealthy Neighbors Kill Seattle’s Plan to Build Affordable Housing in Magnolia (Again)? Magnolia residents stopped Seattle’s last attempt to develop Fort Lawton.” Brilliant concept – love how Ryan painted this piece (no pun intended) – the concept is really terrific).